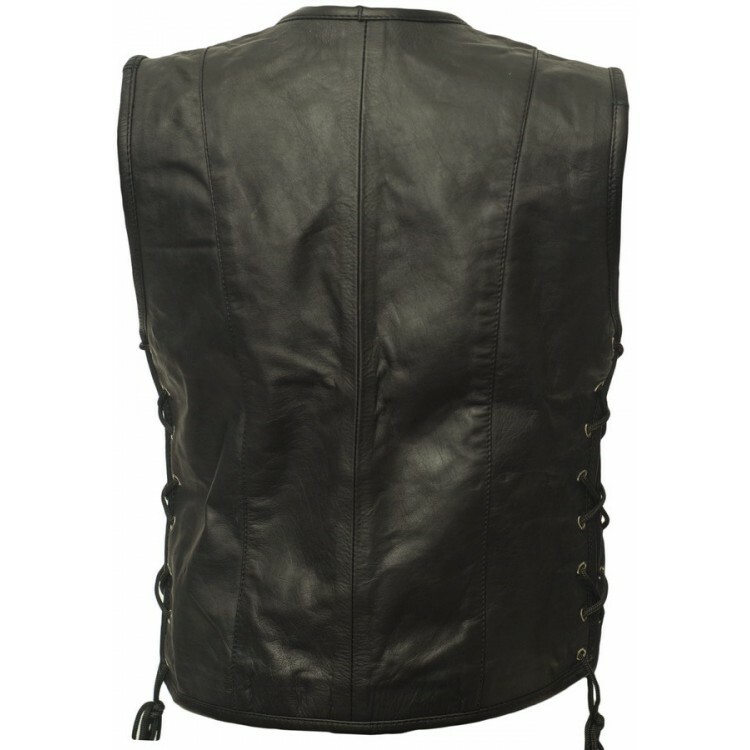 The men's leather vest is made of genuine and sturdy cowhide. Ideal for patches, ie without a middle back seam. 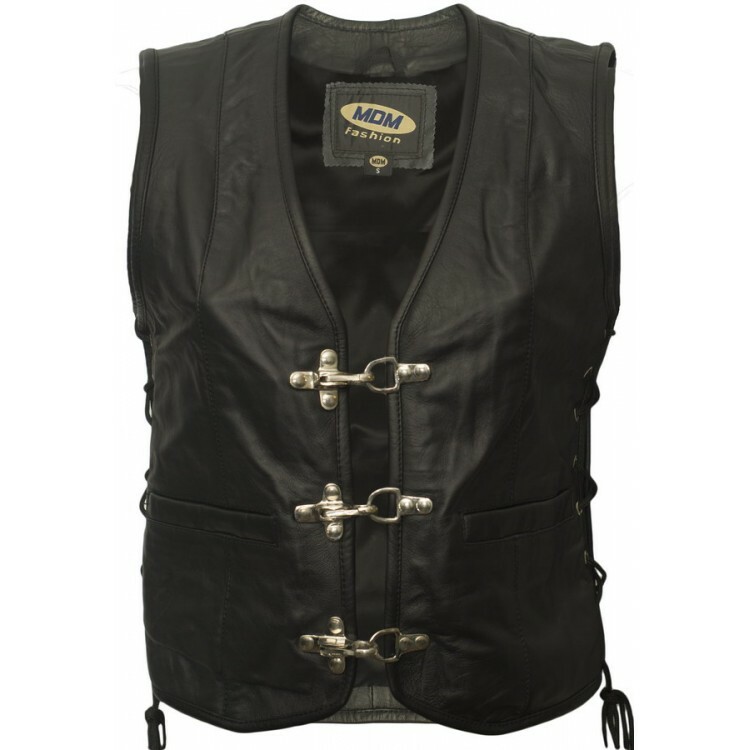 The inside pockets are slightly lower so that the front of the chest, the patches fit on it, without having to sew the inside pocket. 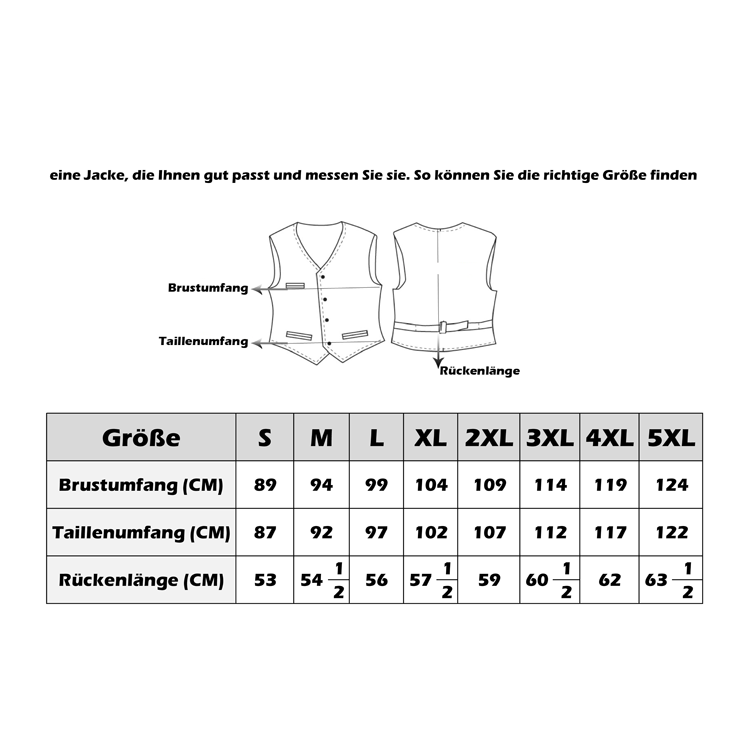 The lining is made of polyester. 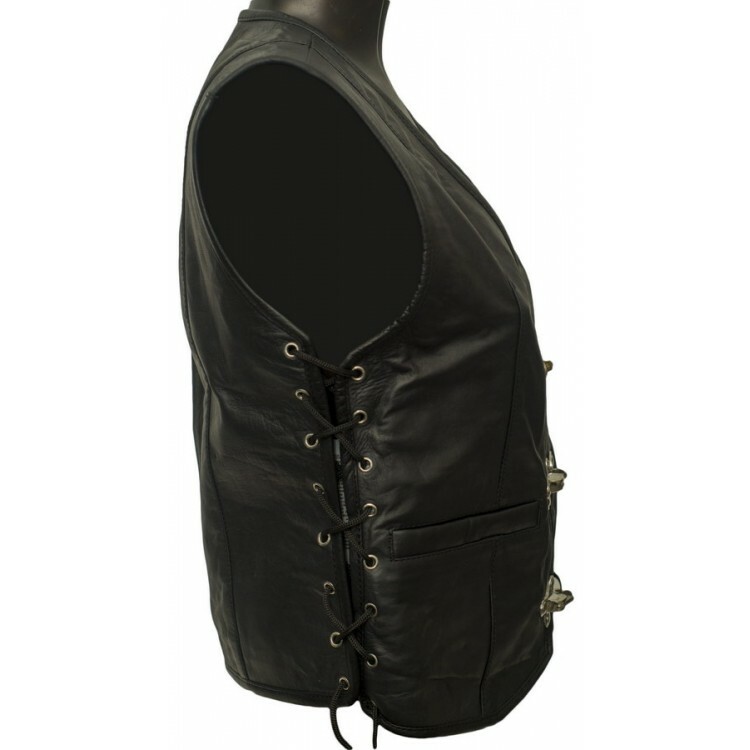 Three chrome buckles as a closure of the vest. 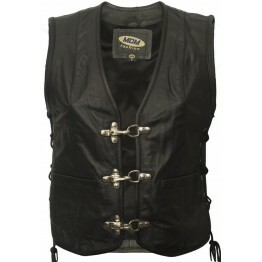 On both sides, the vest can be extended by up to 5 cm. Please note the size chart, which is deposited on the pictures.